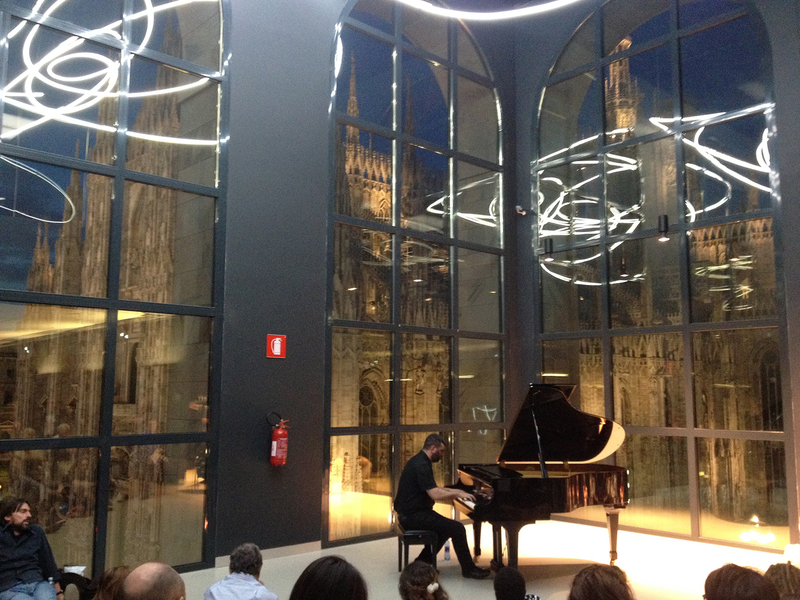 On May 17, 2014 I had the pleasure of playing a solo piano concert in a unique setting: a gallery overlooking the Duomo di Milano, one of the world’s most stunning cathedrals. Over the years I’ve been fortunate to perform in some very unusual places, and for me, this was one of the most breathtaking highlights. My wish was partly granted, when I found out the Museo del 900 was actually located directly in front of the Duomo. We went up to the top floor, and it was only 50 meters from cathedral’s facade. 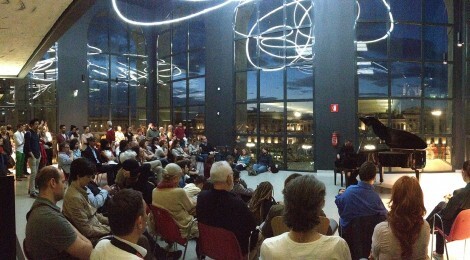 The piano was situated below a beautiful light sculpture by artist Lucio Fontana. 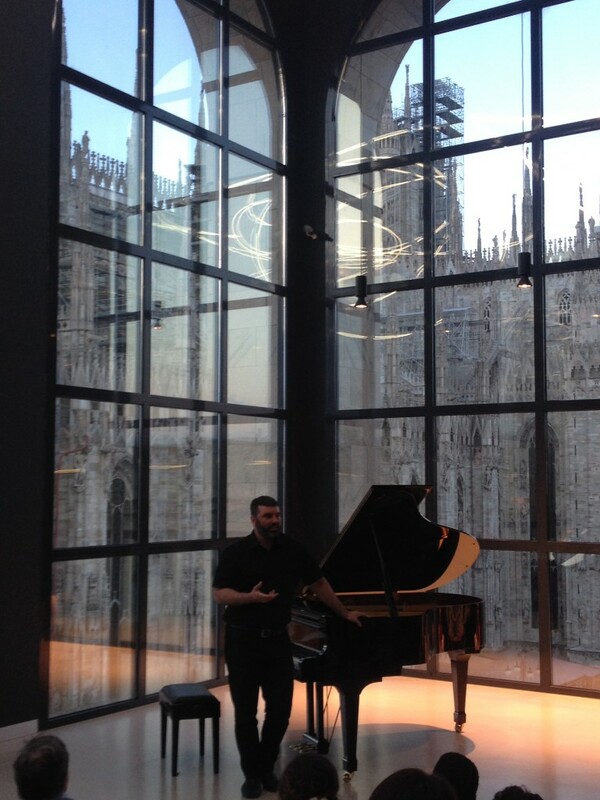 As exhilarating as it was to play with such a backdrop, on some level it also seemed impossible to play something that could really live up to such a piece of architecture. It was a different feeling, to make music while feeling both intimidated, in awe and yet inspired, rising and shrinking, at once. 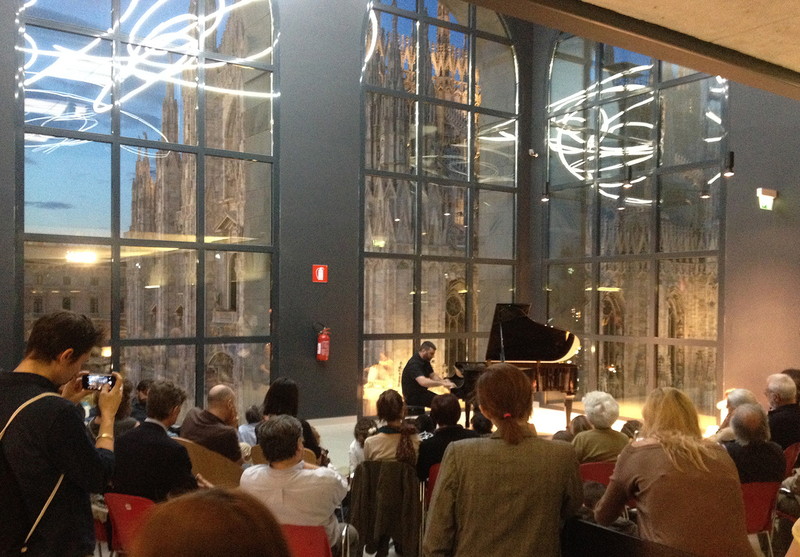 Many thanks to Sergio Maramotti and Giovanna Alfieri for their hospitality and the pictures.